72. Natalia Lafourcade de Yakampot. 67. Rashida Jones de Ralph Lauren y Brian Atwood. 65. Raquel Sofia de Nissa. 64. Shaun Robinson de Pinko. 62. Tori Kelly de Paule Ka, Roger Vivier y Hearts on Fire. 61. Keltie Knight de Dundas. 60. 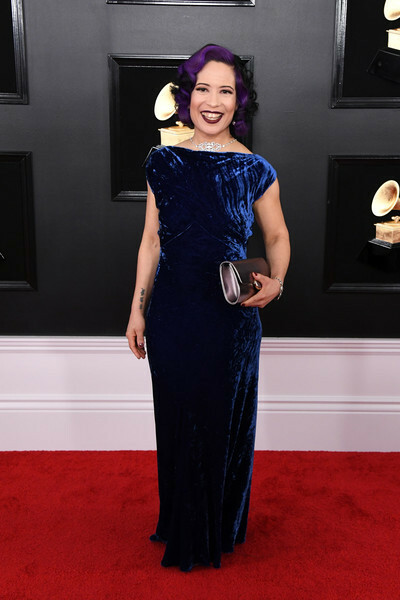 Andra Day de Cheng-Huai Chuang y Sophia Webster. 59. 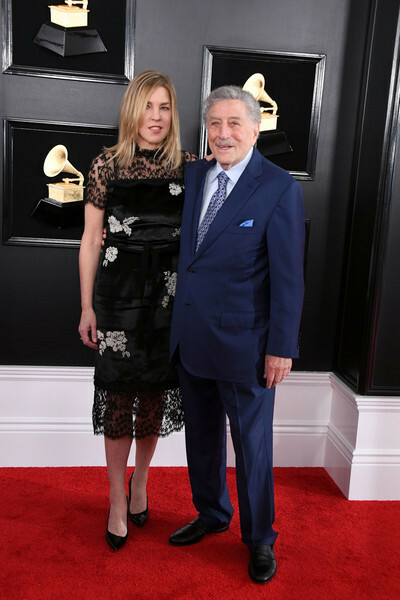 Diana Krall y Tony Bennett. 58. Alessia Cara de Self Portrait y Nicholas Kirkwood. 53. 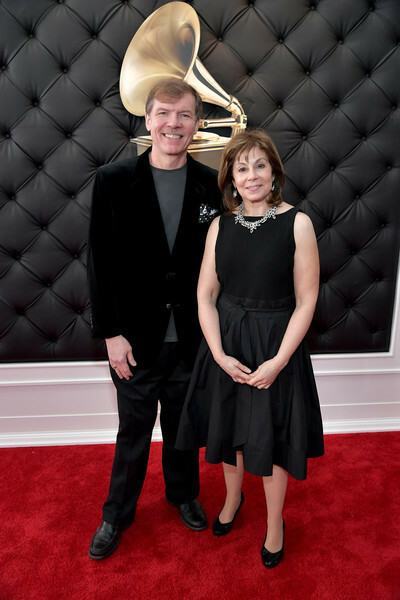 Joann Falletta y Kenneth Fuchs. 52. Blanca Blanco de Quynh Nhu Nguyen. 51. Merle Dandridge de Lucia Rodríguez. 50. Sophie Hawley-Weld y Tucker Halpern. 49. Tanya Rad de Ryse. 48. Tracee Ellis Ross de Ralph & Russo Alta Costura, Christian Louboutin y Lorraine Schwartz. 47. Renee Bargh de Rotate Birger Christensen. 45. 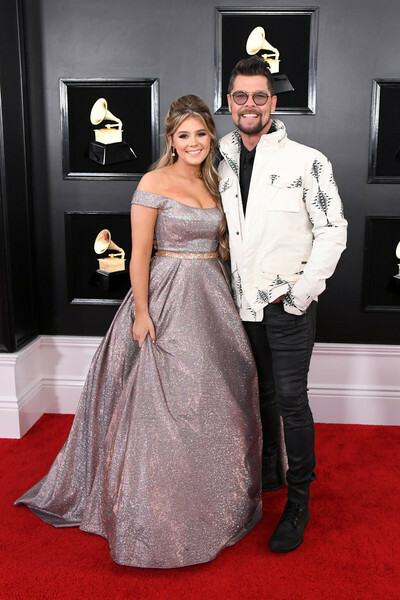 Leticia y Billy Ray Cyrus. 43. Lele Pons de Maison Met. 41. Cecile McLorin Salvan y su pareja. 40. Ángela Aguilar de Diego Medel Fashion. 39. Giuliana Rancic de Tom Ford. 38. 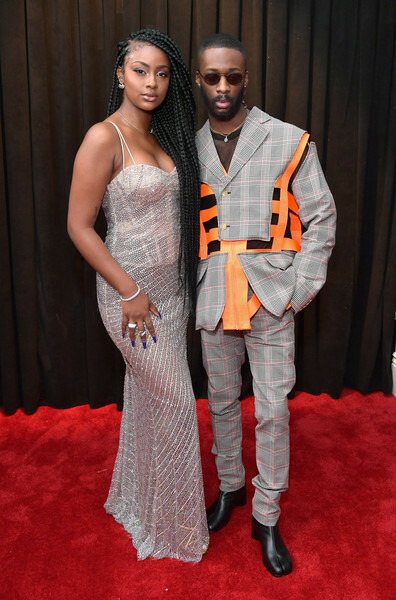 Justine Skye y Goldlink. 37. Dua Lipa de Atelier Versace. 35. 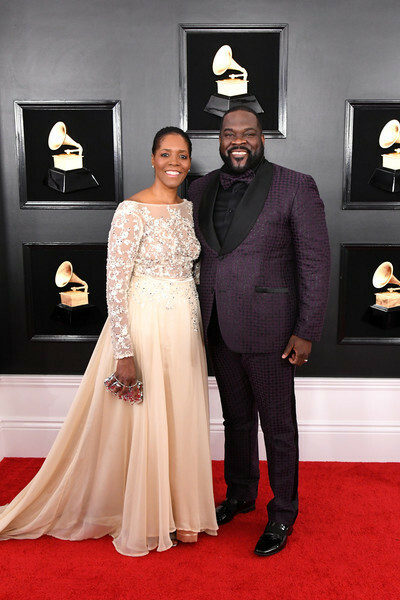 Ashleigh Taylor Crabb y Jason Crabb. 34. Heidi Klum de Stephane Rolland Alta Costura, Jimmy Choo y Lorraine Schwartz. 32. 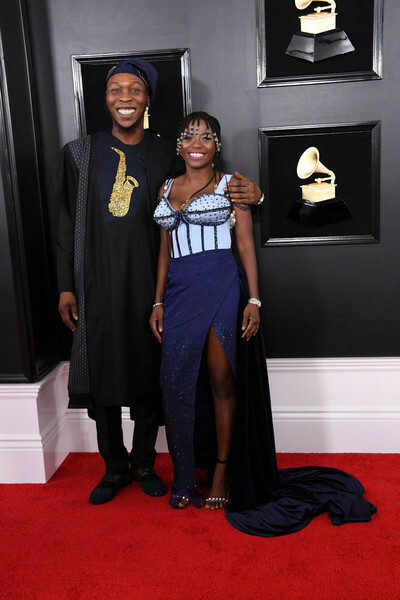 Yetunde George Ademuluyi y Seun Kuti. 30. Tia Fuller de Weise. 28. Janelle Monae de Jean Paul Gaultier Alta Costura. 25. 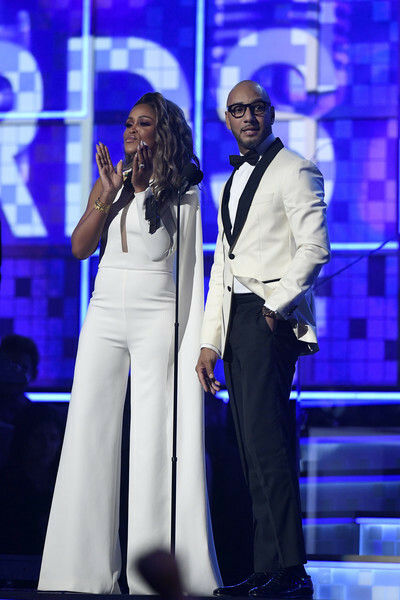 Eve y Swizz Beatz. 24. 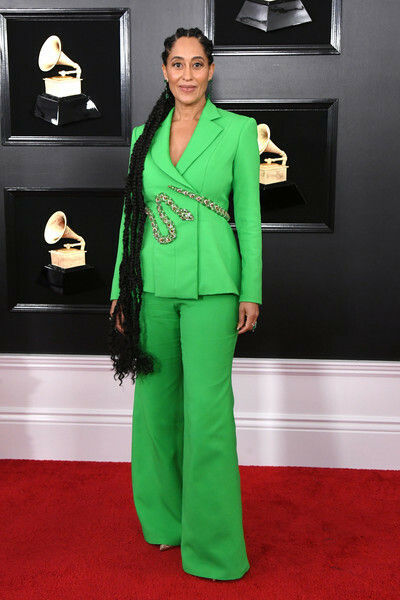 Alicia Keys de Giorgio Armani y Aquazzura. 23. Ashlee Simpson de Georges Chakra Alta Costura y Lorraine Schwartz. 22. Anna Kendrick de Ralph & Russo Alta Costura y Stuart Weitzman. 19. 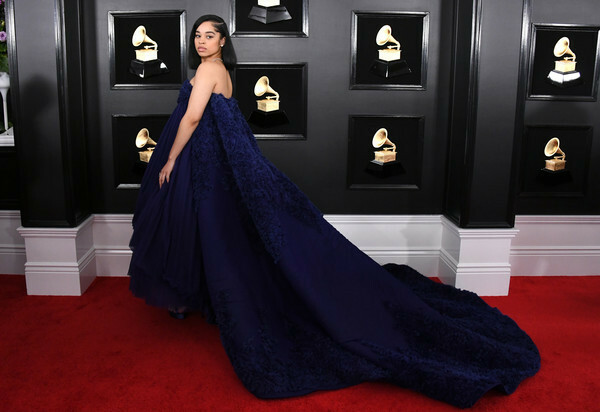 Cardi B de Mugler Alta Costura vintage y Offset. 18. 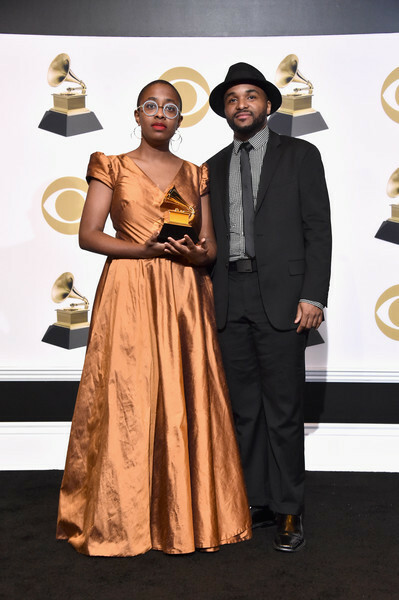 Felicia y Phillip Boykin. 17. Dua Lipa de Atelier Versace. 15. 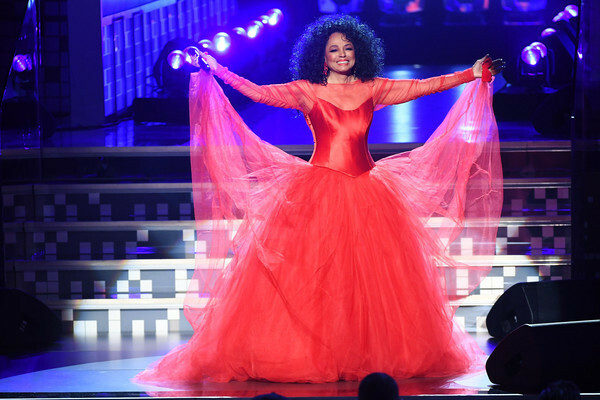 Jada Pinkett Smith de Roberto Cavalli Alta Costura, Lorraine Schwartz y Giuseppe Zanotti. 13. Kelsea Ballerini de Jenny Packham. 10. 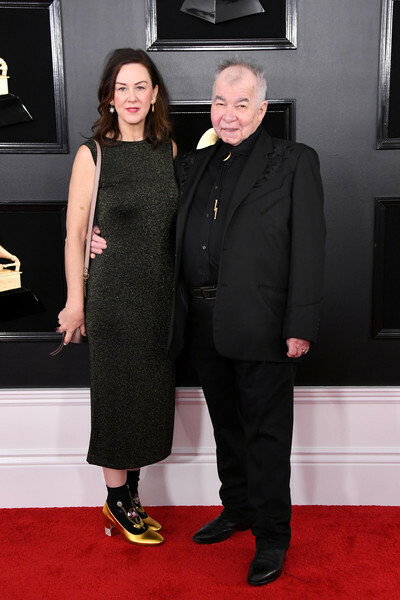 Maren Morris de Galia Lahav y Stuart Weitzman. 9. Lady Gaga de Celine, Jimmy Choo y Tiffany & Co.
8. Kacey Musgraves de Valentino Alta Costura y Stuart Weitzman. 6. Ella Mai de Ashi Studio. 5. 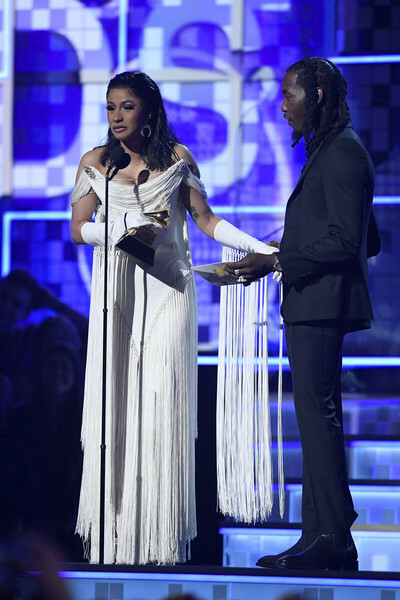 Cardi B de Mugler Alta Costura vintage y Gismondi 1754. 4. Camila Cabello de Armani Privé y Harry Winston. 3. 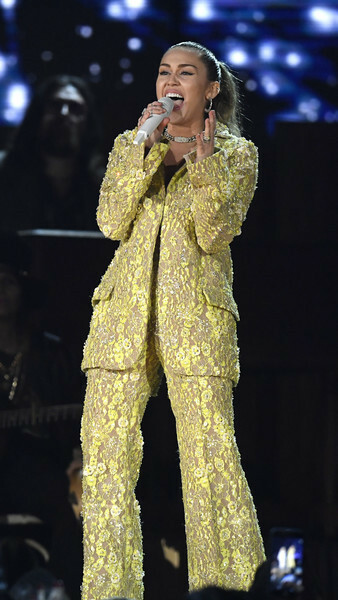 Miley Cyrus de Mugler y Loree Rodkin. 2. Nina Dobrev de Christian Dior, Bally, Christian Louboutin y Harry Winston. 1. Bebe Rexha de Monsoori y Hearts on Fire. 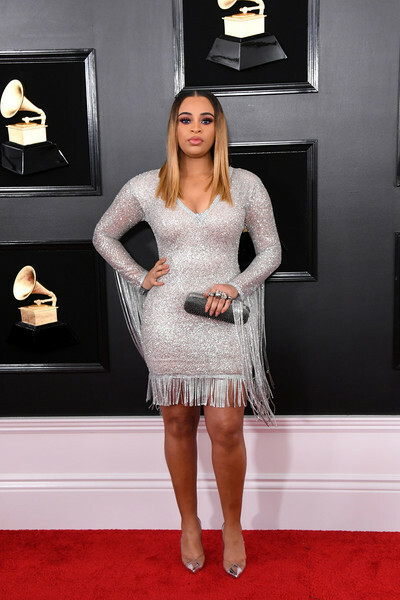 Esta entrada fue publicada en Alfombra Roja y etiquetada affari, alessia cara, alicia keys, alta costura, andra day, angela aguilar, anna kendrick, aquazzura, armani privé, ashanti, ashi studio, ashlee simpson, ashleigh taylor crabb, atelier versace, bally, bebe rexha, billy ray cyrus, blanca blanco, brian atwood, camila cabello, cardi b, cecile mclorin salvant, celine, cheng-huai chuang, chloe flower, christian dior, christian louboutin, d.o.e., diana krall, diana ross, diary, diego medel fashion, dolly parton, donna farizan, dua lipa, dundas, ella mai, emily hampshire, emily lazar, eve, felicia boykin, galia lahav, georges chakra, giorgio armani, gismondi 1754, giuliana rancic, giuseppe zanotti, goldlink, grammy, harry winston, hearts on fire, heidi klum, inspiración, jada pinkett smith, jameela jamil, janelle monae, jason crabb, jean paul gaultier, jenny packham, jimmy choo, joann falletta, joelle james, john prine, justine skye, kacey musgraves, kelsea ballerini, keltie knight, kenneth fuchs, koryn hawthorne, lady gaga, lee ann womack, lele pons, leticia cyrus, loree rodkin, lorraine schwartz, lucia rodriguez, lucy kalantari, maison met, malina moye, maren morris, merle dandridge, miley cyrus, moda, monsoori, mugler, nancy o'dell, natalia lafourcade, nicholas kirkwood, nicolle galyon, nina dobrev, nissa, offset, pat mclaughlin, paule ka, phillip boykin, pinko, porcelan, quynh nhu nguyen, ralph & russo, ralph lauren, raquel sofia, rashida jones, renee bargh, roberto cavalli, roger vivier, rotate birger christensen, ryse, self portrait, seun kuti, shaun robinson, sophia webster, sophie hawley-weld, sophie milman, stephane rolland, stuart weitzman, swizz beatz, tamara dhia, tanya rad, teddy geiger, tia fuller, tiffany & Co, Tom Ford, tony bennett, tori kelly, tracee ellis ross, tucker halpern, valentino, vintage, weise, yakampot, yetunde george ademuluyi. Guarda el enlace permanente. A mí me gusta mucho el look nº21, pero el vestido nº2 también es muy bonito.